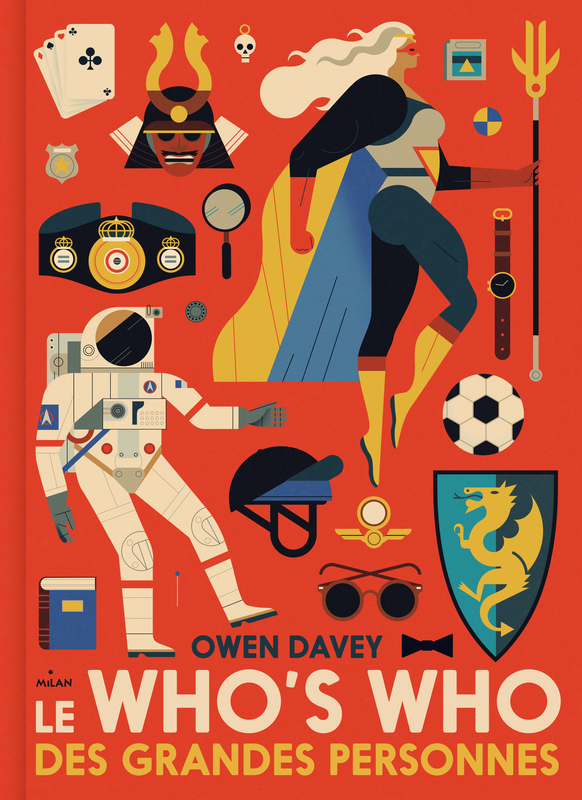 Hot off the press, Owen Davey‘s bright and characterful new book engages children with the French language. Published by Editions Milan, Le Who’s Who des Grandes Personnes takes us on a journey of discovery through the many professions of ‘big people’. Mixing colour and humour, Owen’s illustrations are both educational and entertaining. Through displaying the separate tools and clothing items, a vision of each character is constructed before our eyes. The resulting image is a fun and memorable presentation of the French word beneath.